Come visit the best tennis shop Reno has to offer located at Caughlin Club in Reno, Nevada. 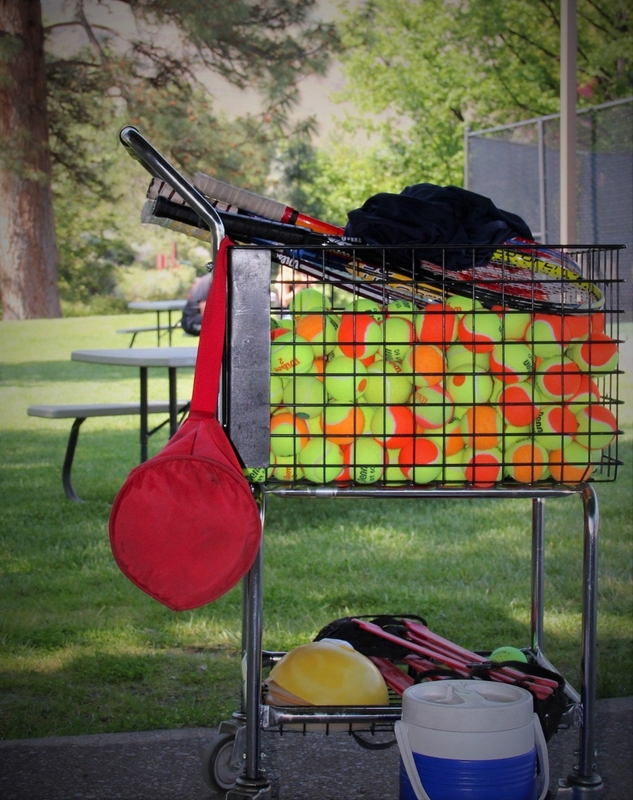 Our tennis shop is open to the public and has tennis equipment in stock. 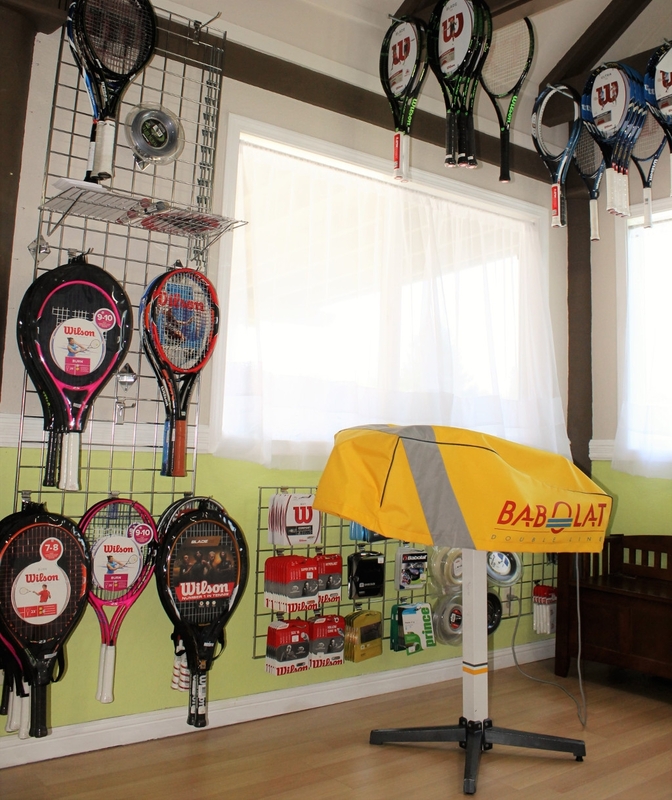 Tennis Nation Racquet Sports is here to fulfill the tennis needs of the local community. If you would like to know the people you are doing business with and value customer service then support the local tennis store. We offer shoes from top name brands available in stock at our tennis shop in Reno, Nevada. We only carry tennis shoes that we have tried on the court and continue to use. 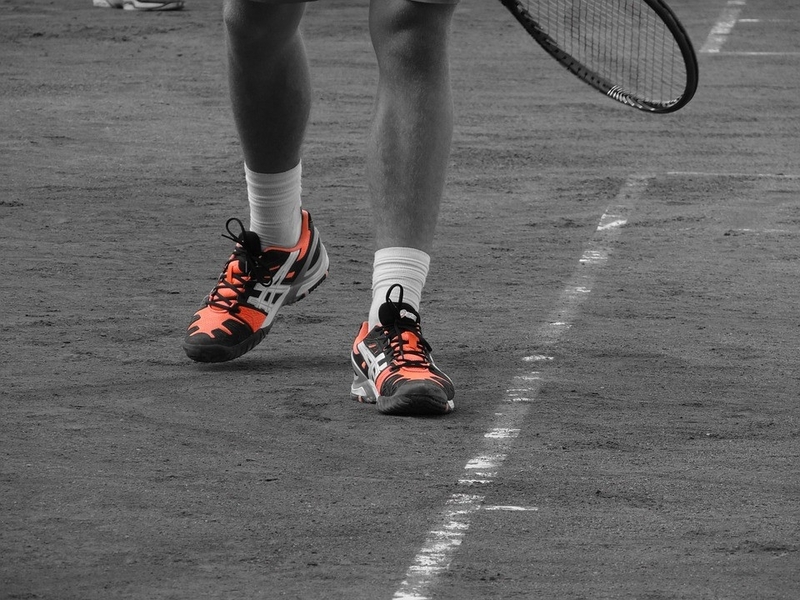 Come see which shoes are best for your tennis game. Additionally, select tennis shoes are also feature a 6 month warranty. Click here for replacement shoe information. Improve your game with a new tennis racquet at Tennis Nation Racquet Sports. Selecting a tennis racquet that suits your needs can improve your performance and enjoyment of tennis. Shop a variety of tennis racquets for juniors & adults from top-rated brands. Find top-quality tennis racquets from brands like Wilson and Babolat for you to try. Our demo program is available to everyone. Each demo is $2 a day and you can try it out for a week. Cans and cases are available through Tennis Nation Racquet Sports at the tennis store. Tennis ball cases are ordered in bulk and will be ordered upon request. Today, specialized balls are also available which are highly recommend for kids’ tennis development. Youth tennis balls are categorized by color. Red dot balls are for 8 & under, orange dot balls for ages 9 & 10, and green dot balls for ages 11 & up. 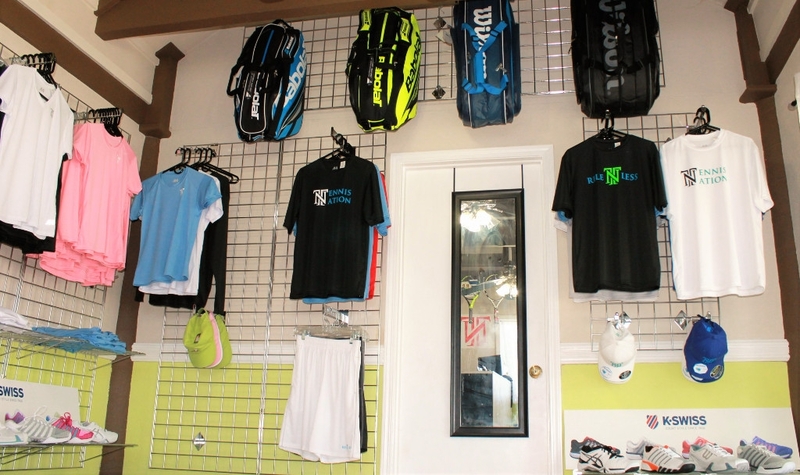 Come to the court dressed in style with tennis apparel from Tennis Nation Racquet Sport’s clothing line. Featuring tennis clothing with numerous different looks, in different colors and sizes. Finally, we want you to look good and stay cool on the court while representing a true tennis brand! 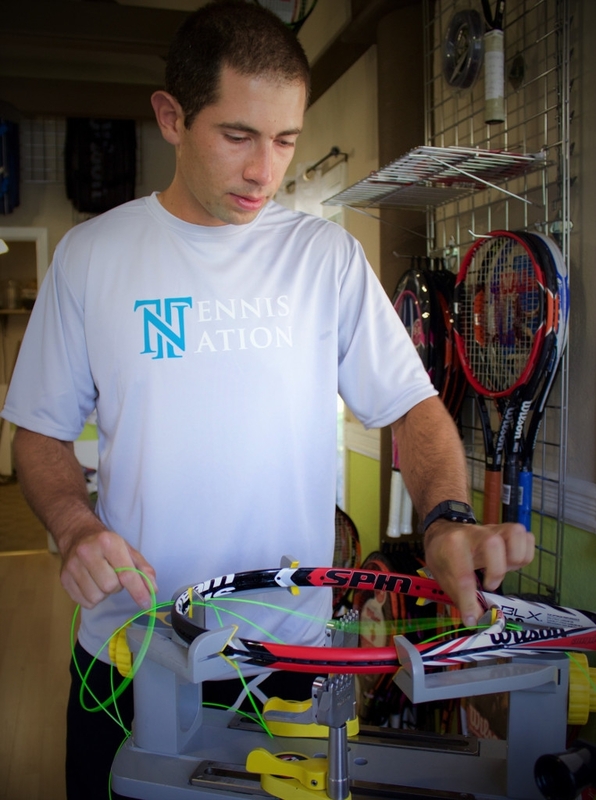 Tennis Nation Racquet Sports has your racquet stringing needs covered. Several different tennis strings are offered. 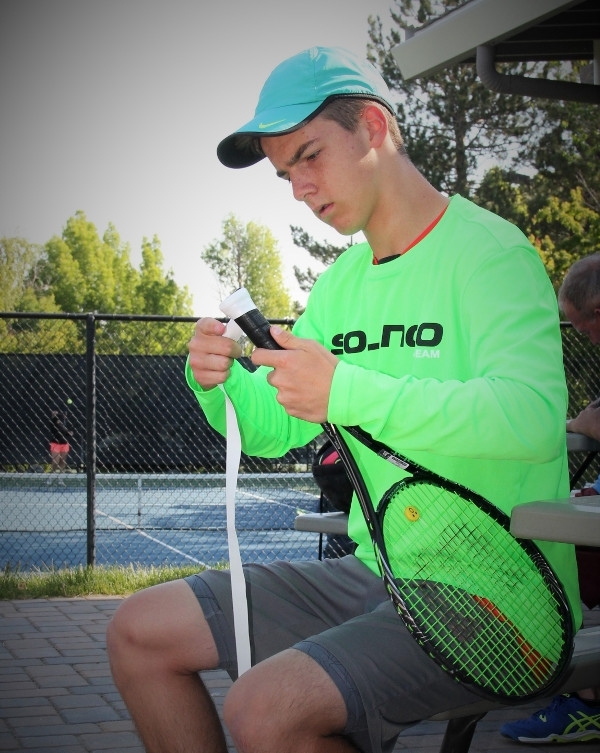 Our staff of tennis pros can help you select the best string for your game. How often to have your racquet restrung depends on the player, the string, and the type of play. However, we recommend tennis players restring their tennis racquet no less than twice per year, or as often per year as you play per week. Racquet stringing rates range from $15 to $35 depending on string selection. Replacing tennis grips and over grips are great options for any tennis player looking for better grip on their tennis racquet. If it’s worn, get it replaced. A re-grip is one of the easiest and least expensive things that you can have done to your racquet that will positively impact its performance. Hours may vary depending on staffing needs and the weather. We are a staff of tennis teaching professionals and are frequently on court with clients. If you need in depth assistance give us a call to ensure we are in the tennis shop. We look forward to seeing you!